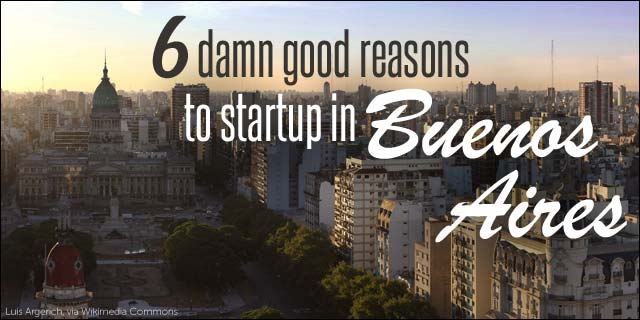 Che, it’s true, Buenos Aires is a great place to startup! Given the city’s low cost of living, high quality of technology talent, as well as being an excellent location choice for foreigners to live, Buenos Aires (also known as BA) is attracting more startups than ever before. The Argentine government welcomes foreign investments and businesses, so startups can expand or move their business to BA with relative ease. According to the International Finance Corporation, founders can start their business for under USD $300 in a few days. Furthermore, there is currently a high skilled-labor-to-low-cost ratio in the city. That is because Argentina has the highest rate of university students in Latin America. So startups can have a staff of highly competent employees for less than they would have to pay if the company were based in the United States. Finally, BA is in the same time zone as many cities in the US, which helps with faster delivery times, more agile development cycles, and better communication with clients between both countries. Some of South America’s most innovative companies are based in BA. Latin America’s eBay, Mercado Libre, and top venture firm Kaszek Ventures are both based in BA. Just recently, the government of the City of Buenos Aires announced that it’s launching an initiative to support local startup accelerators that focuses on early-stage startups. The initiative will provide an investment of AR$28 million (USD $3.5 million), of which AR$18 million (US$2.25 million) will go to five accelerators. 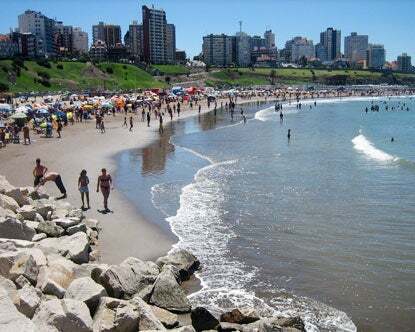 “We have a spectacular opportunity, and it is our responsibility to seize it with the seriousness it deserves, incorporating it as a state policy and accompanying its development with educational plans aimed at changing people’s mentality,” explains Enrique Avogadro, Creative Economy Sub Secretary of the Government of the City of Buenos Aires, regarding the initiative, in an article published by Pulso Social. One of the city’s most influential entrepreneurial organizations, Startup Buenos Aires, has been successful in creating a sustainable ecosystem for local startups in BA. “Before the creation of Startup Buenos Aires, the startup scene in BA was severely fragmented and under-resourced. All of the elements for a strong startup ecosystem existed, especially the talent. However, there was no centralization, everyone was working independently. Since the formation of Startup Buenos Aires, there’s been an incredible evolution in the city and the emergence of a real collaborative and sustainable startup community,” says Lisa Besserman, founder of Startup Buenos Aires. Most importantly, local entrepreneurs are noticing the change. “Part of the success of any entrepreneur comes from its involvement in the ecosystem. Acamica has received a lot from many organizations and entrepreneurs, and it is our duty to give back to the community. SUBA has been great in organizing different initiatives for the local ecosystem and given us that opportunity to collaborate,” says Ignacio Puig Moreno, cofounder of Acamica. Because Argentina has a highly educated workforce, BA has become one of the top cities that outsources mobile development services to companies worldwide – mainly because companies in BA offer great service for a lower cost compared to companies in the US, as well as easier communication compared to companies in India. “Salaries in Argentina are 1/3rd of salaries in the US and the quality of professionals in the art or software fields is pretty much the same,” explains Franco Breciano, the founder and CEO of Zupcat, a mobile games startup based in Argentina. We cannot ignore the harsh economic realities that Argentina is currently dealing with. Despite the country’s challenges, there has been a rise in tech development services that is fueling the growth of the city’s entrepreneurial ecosystem. “Despite – or in direct relation to – the ups and downs in the national economy, Argentina has developed a highly resilient breed of entrepreneurs, most of which have aspirations of taking their brands and companies global,” explains Besserman. 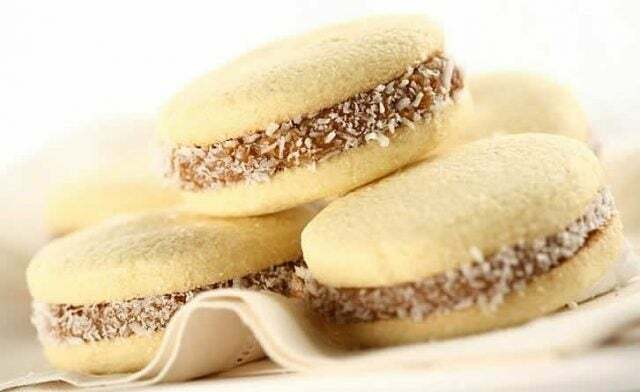 Last month alone, Argentine startup Wideo raised a $460,000 funding round from investors including 500 Startups, NXTPLabs, and South Ventures. 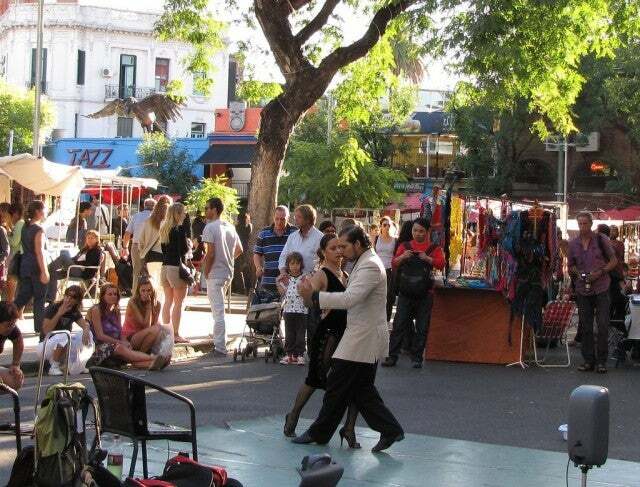 BA is considered one of Latin America’s top cities to live and has been coined the Paris of South America. 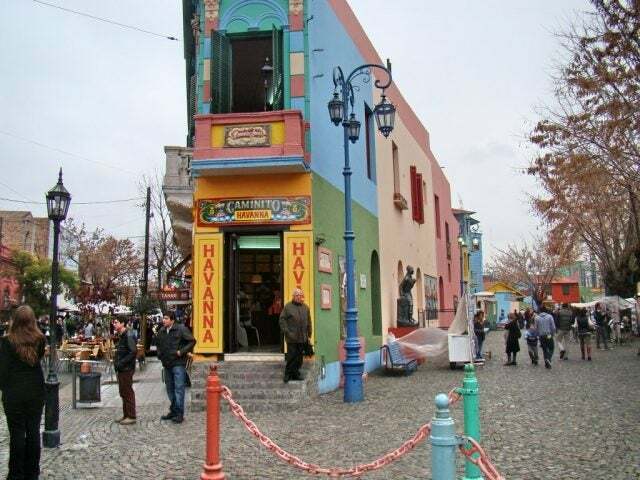 Between the city’s exquisite architecture, a lively culture, and beautiful neighborhoods (e.g., Recoleta, hip Palermo, fun Las Canitas, and up-and-coming San Telmo), BA is a hub for creative expats from all over the world looking to live in this unique city. Since Argentina’s economic crash in 2001, the prices and cost of living have dramatically decreased. Currently, you can rent a one-bedroom apartment in one of BA’s best neighborhoods for about USD $500 a month. Compared that to a similar space in San Francisco that will cost you about USD $3,000 a month. Of course, life in BA has some inconveniences: slower customer service, constant industry strikes, and even embargoes to foreign products (e.g., the latest plasma TV). But, did I mention Argentinians are known for their great looks? Eh, you win some and lose some. The music, the food and scenery…BA is pretty special city (and this is coming from a Brazilian)! 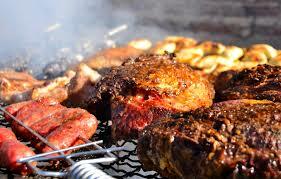 Restaurants all over BA offer a variety of delicious menus for an affordable price. There is a variety of museums, and a lively nightlife for entrepreneurs during their time off. Although BA is a bit far from the United States (travel to conferences can become pricey), it is not far from beautiful beaches and natural sites. You may need to learn some Spanish, but it is worth it.